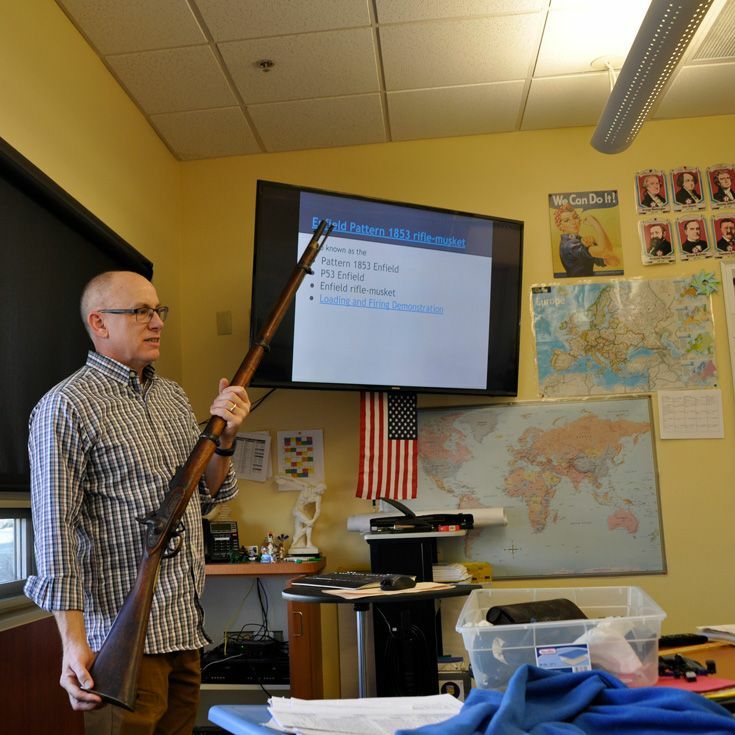 Curt Bland shared a piece of his family’s history with Meg King’s U.S. History students, complete with a musket and other war relics! His great-great-grandfather, John Sickafoose, joined the efforts of the Civil War as it came to a close, entering in February 1865 and “mustering out” on August 30 of the same year. John’s occupation as a farmer allowed him a deferment given the importance of his job during the war. But despite John’s short tenure with the 152nd Infantry Regiment, an infantry regiment in the Indiana Army National Guard, John’s contributions continue more than 150 years later. 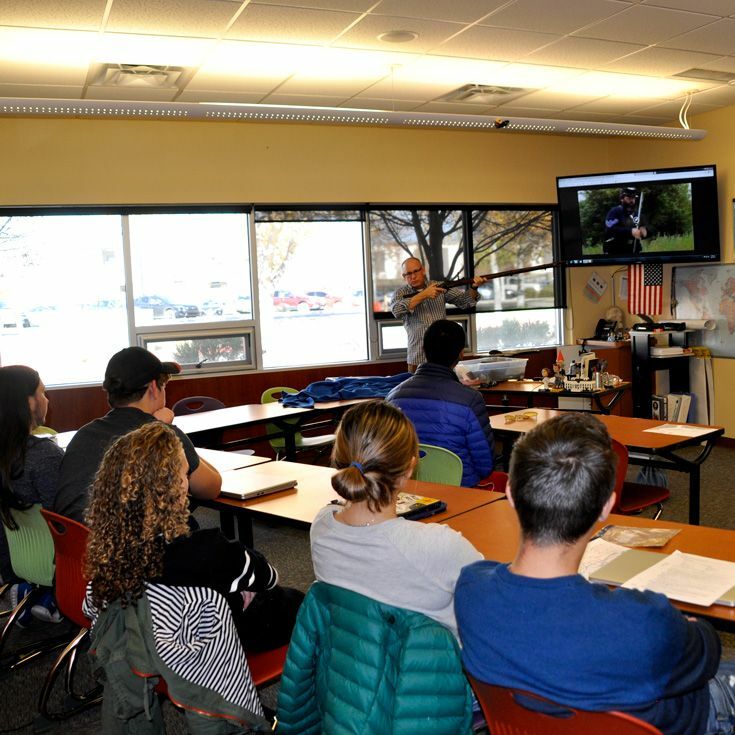 Today, his story, told through his great-great-grandson, helps to personalize the Civil War experience to students and provides them with a perspective beyond text or documentaries. 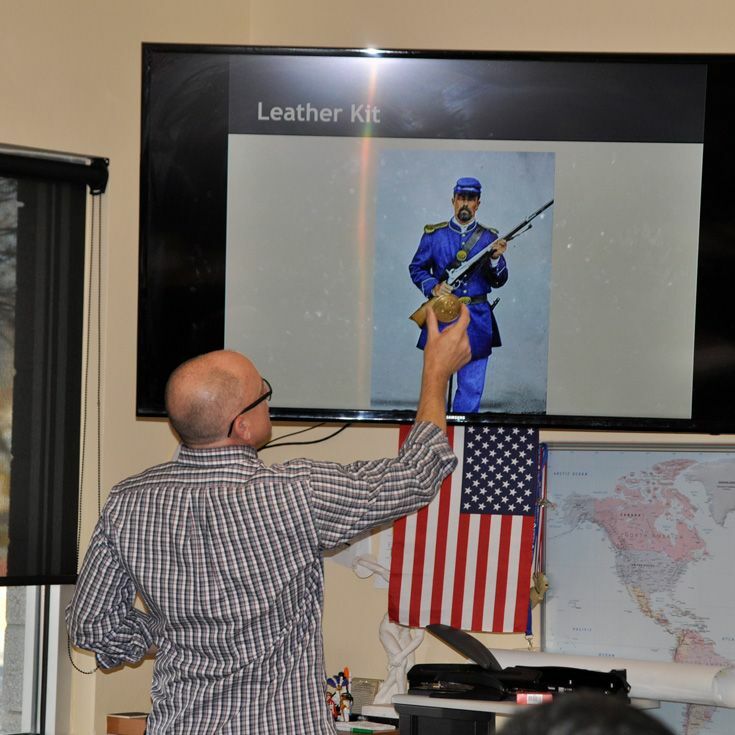 Curt’s presentation, now in its fifth year, allowed the students to see many of the artifacts his great-great-grandfather brought home from the war including his musket, buckles, and belt, among other items. 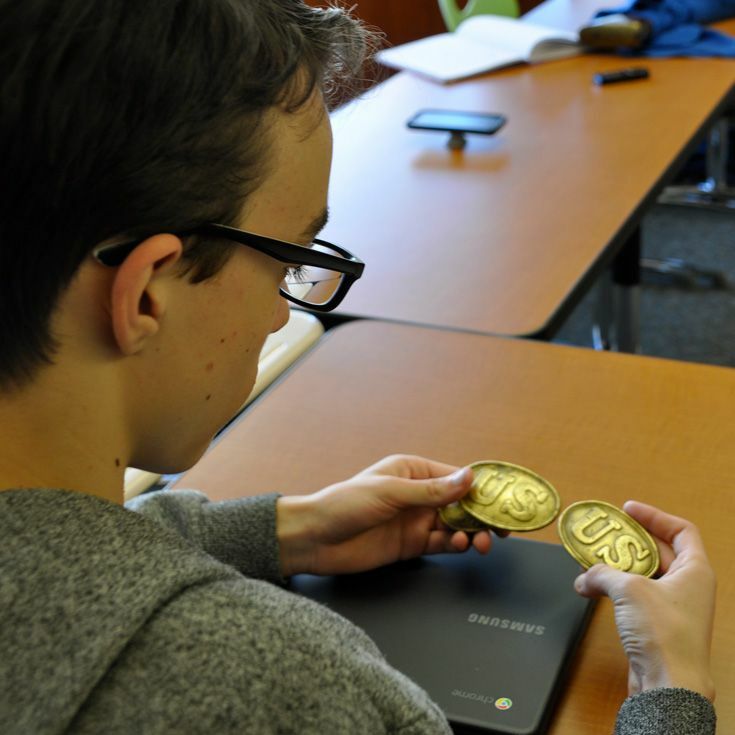 The presentation is part of the class’s study of the Civil War.